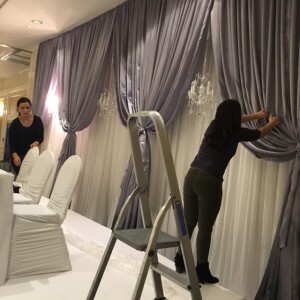 Our exceptionally talented design team have an innate ability to produce the most breath taking events. Rest assured our attentiveness to details will exceed your expectations. We will always maintain a truly professional and efficient service when working with the venue of your choice. Our existing relationships with many venues all around the UK make the whole process completely flawless and our delightful manor is always welcomed by any new venues we work with. The wedding Lounge can assist with arranging set up and removal times with your venue to allow you a complete stress free experience. Each and every venue have their own specific requirements with regards to health and safety policies and The Wedding Lounge carry out all risk assessments to comply with their requests. Once the installation is complete, no details are left unchecked so you can enjoy and saviour every special moment. A full quality inspection is carried out before we leave any event – The vision now becomes the reality – your special day!